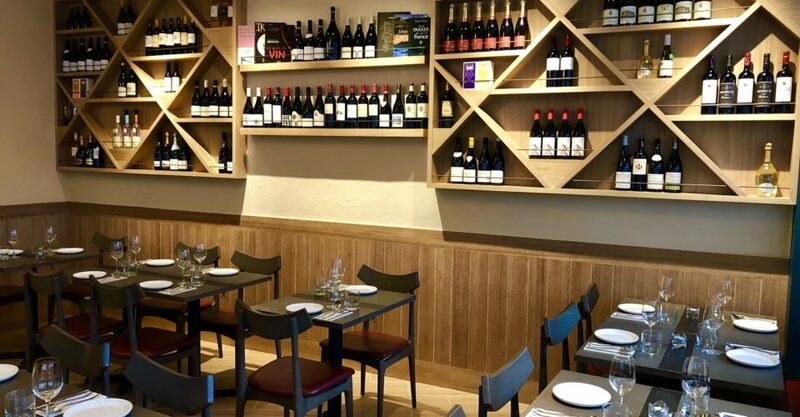 A French Renaissance: A neighbourhood-style eatery beloved by French expats across Hong Kong, Le Bistro Winebeast has just reopened in a new location on Wanchai’s Johnston Road. The decor may be new and a little more refined, but there’s still a great selection of fine wines, great French food, and a lively bistro feel. Look & Feel: This is very much your local neighborhood bistro (if you were in Paris, that is). It’s cozy, bright, and homey. And puts its wine cred front and center. There’s plenty of light wood offset by deep-hued chairs, and the walls are lined with all the excellent wines the restaurant offers. On the Menu: Seasonal menus showcase quality ingredients in flavorful, rich dishes that are equal parts classic French and innovative. The a la carte menu is a collection of light starters, heavier mains, and stalwart signatures. Start with the Frapas Platter ($168; a tapas-style plate that includes beef tartare, tuna tartare, duck croquette, and a beetroot salad), then move onto the griddle-grilled Hokkaido scallop that comes smothered in a delicious butternut and bacon purée. Whatever you do, don’t miss the signature Rossini Angus beef fillet ($368), which comes topped with pan-fried foie gras and drizzled with truffle jus. It’s a decadent, moreish dish that epitomizes the rich excesses of French cuisine. 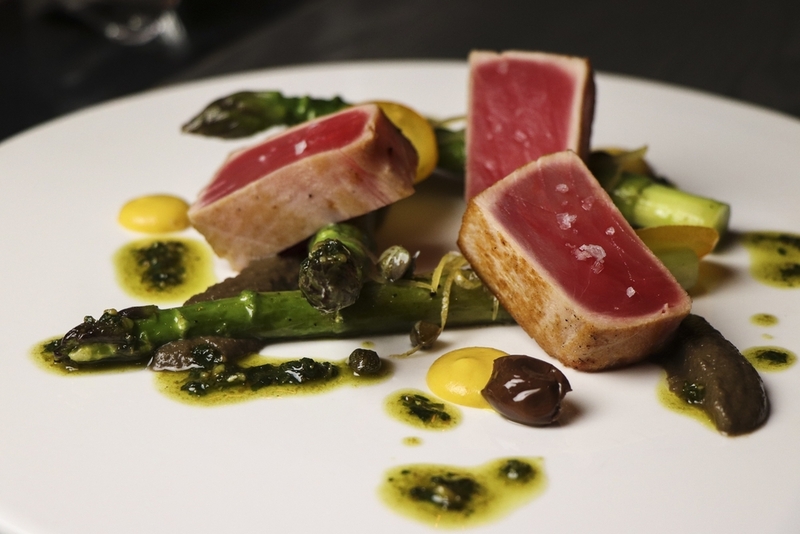 If you can’t decide what to order, just ask for the four-course dinner tasting menu ($498 without wine; $598 with wine pairing), which brings together some of the restaurant’s best dishes. The drinks list is extensive, and resident sommelier Cristina has curated a great wine collection specializing in French terroirs, regional Spanish drops, and eco-friendly blends. Meet the Chef: Johan Ducroquet trained at some of Paris’ best Michelin-starred restaurants before landing in Hong Kong five years ago. Jeng: There’s a reason (or several) that Hong Kong’s French crowd keep coming back here. The food is great, and the wine pairs beautifully. The atmosphere is lighthearted and fun – staff easily move through the restaurant checking in with their tables and ably suggesting dishes or wine pairings. Not So Jeng: Like the previous spot, the new Le Bistro Winebeast is rather small. You’ll be elbow-to-elbow with the neighboring table. Great For: Date nights, catch-ups with a couple of friends, and your know-it-all wine friend. FYI: The chef (Johan) and the sommelier (Cristina) are married!